For any business owner, the primary question when investing in marketing is – will this provide a great return on investment? It’s a fair question and one we are faced with all the time. Very often you can measure these things, usually with a comparison of much-improved website traffic and longer visits. However we’d like to add another, ‘soft metric’ to the equation: does this marketing enhance my brand or business? With our studio on Lots Road, we work with local businesses requiring print and web design projects in Chelsea Harbour, providing bespoke, creative ideas for marketing. One of the defining features of the area in which we now work is creativity and discernment, whether it be our neighbours the furniture auction houses, or the strip along the King’s Road at the core of the Chelsea Design Quarter. We’ve been lucky to work for a few businesses in the creative industries locally and are now keen to expand this client base. One of the best ways of marketing a business is not by looking forward (right away) but by examining your business, its core services, new offerings and what has worked well (as well as badly) over its history. With this in mind we can figure out the best strategic plan to enhance your brand. Of course it could be that your brand (or overall creative ‘look and feel’) is something that needs a little attention. We often find that design-led businesses like interior designers or architects tend to neglect their own design while concentrating on the ongoing work of their clients. It’s not quite ‘physician cure thyself’ but sometimes the moment comes when external help can not merely assist, but change everything. 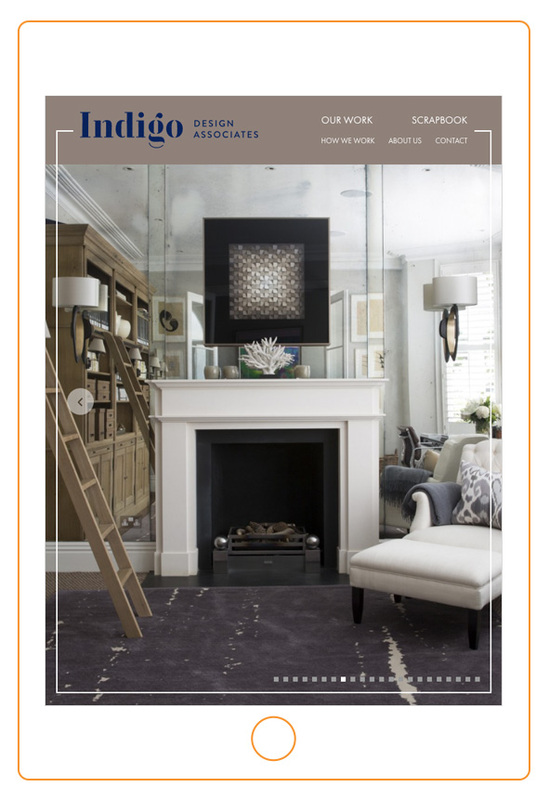 The Indigo Design Associates website: a great example of how we can assist businesses based in Chelsea Harbour. Members of the Chelsea Design Quarter have a vested interest in keeping their website and branding up to date: modern, high-spending customers look online first and take a business seriously that has a professional and outstanding online presence. 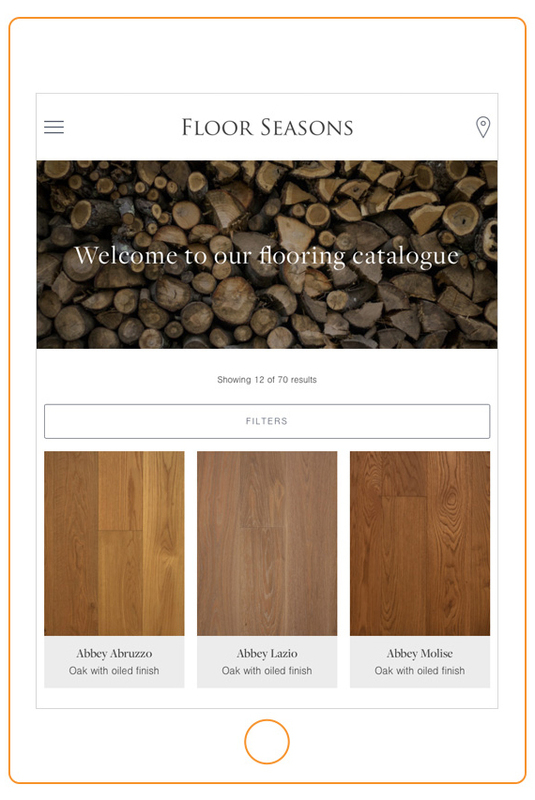 Our recent work for wooden flooring specialists Floor Seasons does just that, showcasing their entire catalogue online in a simple, fresh, easy-to-use way. It’s an inspiring example of how a Chelsea business has moved forward and kept their business looking fresh while embracing a tradition of beautiful hand-made products. It’s a good question, but shouldn’t take too much agonising. Perhaps your company identity is sound, but assuming it could use an update, that is a process we’re very used to. Some companies prefer a gradual update, keeping the overall look clients are familiar with, but using sharper typography or a series of fresher, modern colour combinations. Invariably the ‘big spend’ for any business these days, your online presence is worthy of this attention and investment. This being said, we’re constantly approached for sites of many different sizes and levels of ambition. 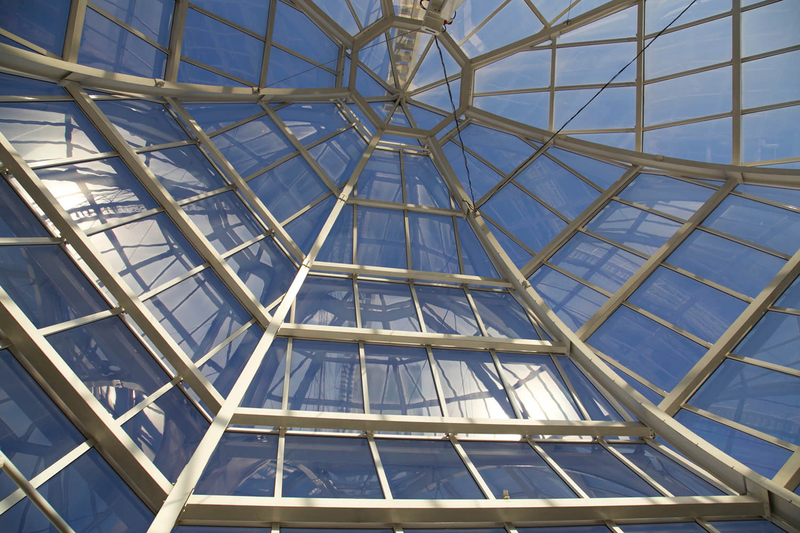 A typical project is a portfolio piece showcasing photographs of your (hopefully) beautiful work which ironically asks the site design to enhance or frame these, rather than get in their way. We always assume imagery sells hard – the croaky old cliché about a picture being worth a thousand words is hard to argue with. However, we regularly have discussions about the way your customers, and prospective customers, use the web and how this changes, whether it be via evolving technology or usage trends. Examples of these can be simpler navigation, setting out a choice of client projects front and centre (rather than buried inside your site), or including many more photos than might have been included a few years ago. The truth is, today people love lots of details and wide angles… and it sells your work, which is the whole purpose of a good site. There’s a curious dichotomy in the use of Newsletters. On the one hand, if they are bad, these dreary missives clog up your InBox and get either a quick ‘delete’ or even worse, an irritated ‘unsubscribe’. But, working with a series of businesses on their newsletters, we’ve begun to unravel what makes these easy-to-produce (and cheap) pieces of marketing actually work. Simplicity of design and bags of personality – delivered by way of crisp, witty writing. We’d suggest working with you to create a really great template, both in terms of a simple, eye-catching layout, but also a way of writing that will catch the reader’s imagination and cause them a wry chuckle. Who knows, they may even follow the example of one client of ours, and cause subscribers to enjoy reading them… then pick up the phone with a piece of new business. We are firm believers in the power of the printed object to create anticipation and market a business. However businesses today want to balance the use of printed leaflets or brochures with avoiding stacks of these deluxe objects sitting gathering dust and getting out of date. We believe the way forward can be a more modular approach, considering a series of shorter leaflets about key services which can then be seen together as a brochure. Long-form print does have its place however: in creating standardised records of products, services or guidelines that are sure to stand the test of time, a perfect bound document with a clear purpose and target audience is hard to beat. We’ve ample experience of both these approaches and can advise which is best for your business. As well as the wide range of creative industries which find a home at Chelsea Harbour, we act for a significant number of the more corporate businesses that work, or have worked, in the area. 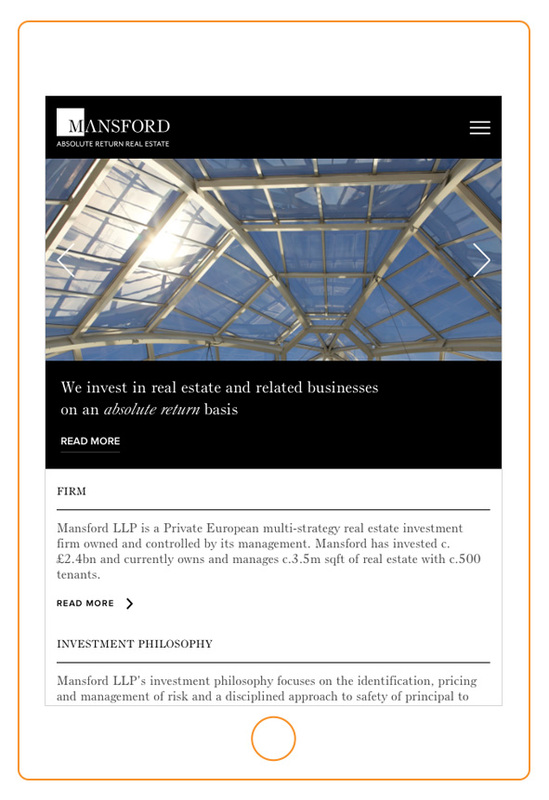 A good example of one is Mansford LLP, a commercial real estate investment company who at one time actually owned Chelsea Harbour. To this day, this early key transaction has come to act as something of a totem for their wider business and remains on the homepage of the website we designed and built for them. We shot the image on the homepage and indeed the photograph at the header of this page was from that sequence. Our work for Mansford has included branding, print design of stationery and other office supplies, as well as their web design and other project-based design services over the years. 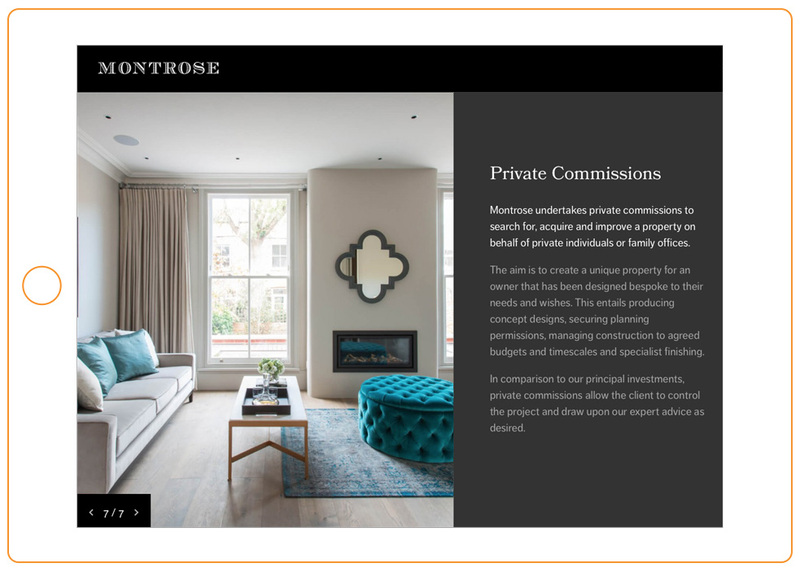 Similarly, we have acted for Montrose Capital, a discreet business specialising in the search, acquisition, and improvement of beautiful properties throughout London. Our core project for the business has been a portfolio website focussing on examples of their beautiful work. After ten years in Fulham, we’ve been based in the Chelsea Harbour area three years and are well-established, working with creative firms large and small in the area. We’d love your business to be one of them.